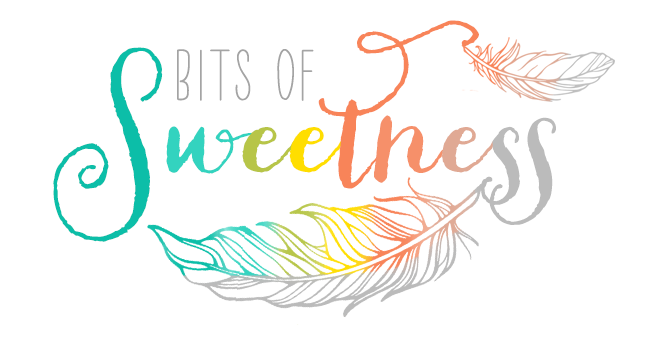 Bits of Sweetness: Funfetti Muddy Buddies + a $10 Giveaway! 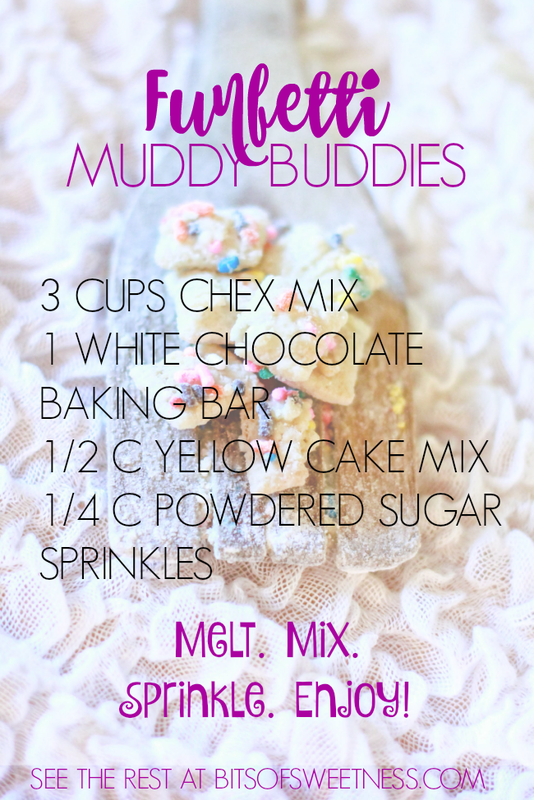 Funfetti Muddy Buddies + a $10 Giveaway! Desserts are a favorite in this house. It's not uncommon to find us curled up with cozy blankets, a game, and something to munch on. The kids have this affinity for sprinkles, so I wanted to make something combining munchies and sprinkles. I think we may have done just that! 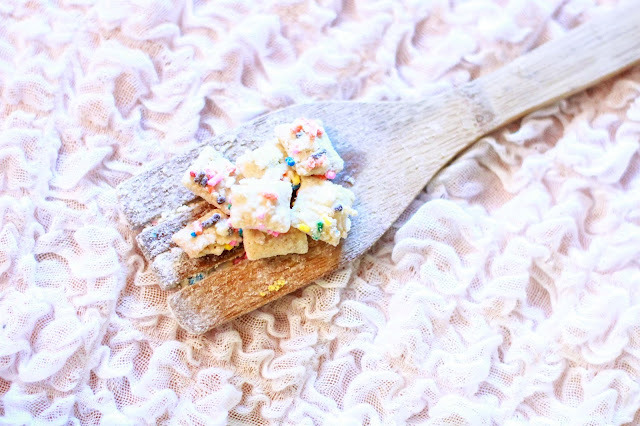 I mean, sprinkles and a delicious snack the whole family will enjoy- can you really go wrong?! 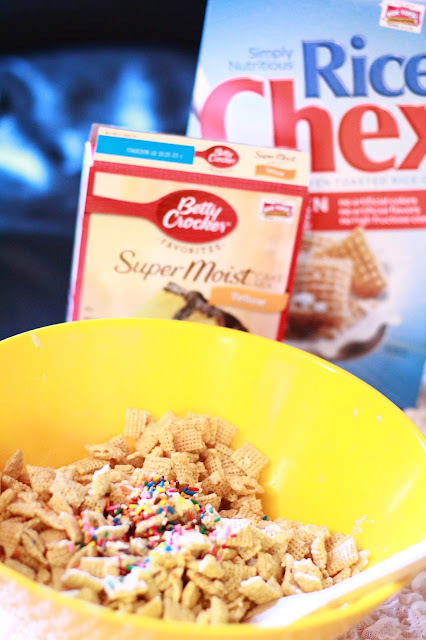 I stopped by Winco to grab a few essentials to make this yummy treat. 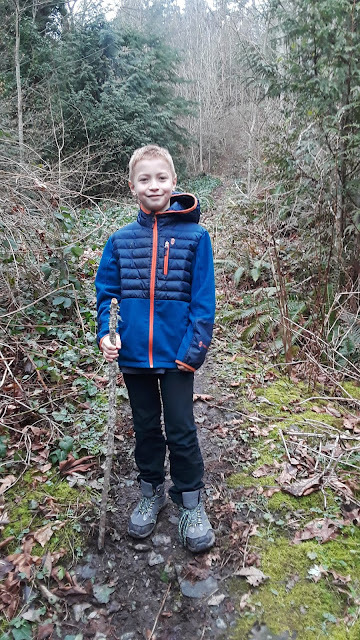 It's easy enough the kids can help. 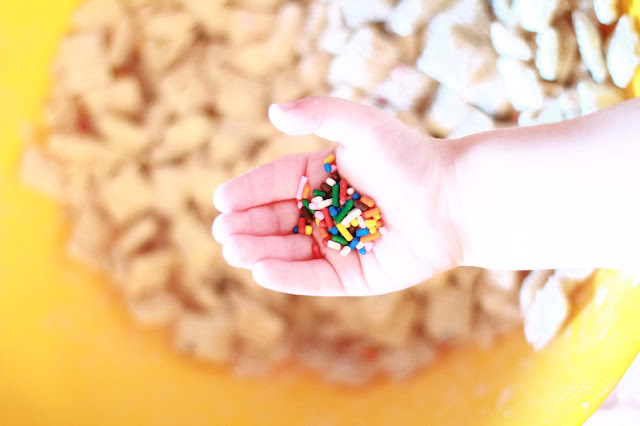 I had the kids help me measure and count 3 cups of Chex mix (we used rice.). I melted an entire bark of white baking chocolate, stirring it every 30 seconds to prevent over-cooking. Next, my little helpers added it to the mix and stirred it up. Next we put 1/2 cup of a Yellow Betty Crocker Cake Mix in a container and shook it up with 1/4 cup of powdered sugar. (Oh did they love that!) 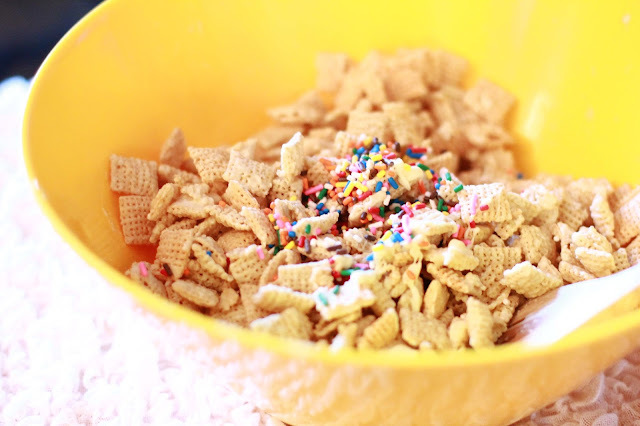 Gently add dump in some sprinkles and ta-da! You are all set! Save this one for your recipe box!